New York Fashion week is officially done and the streets are abuzz with the fashion looks that graced the runways. To keep you up-to-date with the trends of the season, I have provided a brief overview of trends to look out for. The colour emerald is hot this season, and for a good reason. This jewel tone is a splash of color that will make any item you decide to pair it with look radiant (Left to right: Opening Ceremony and Prabal Gurung). 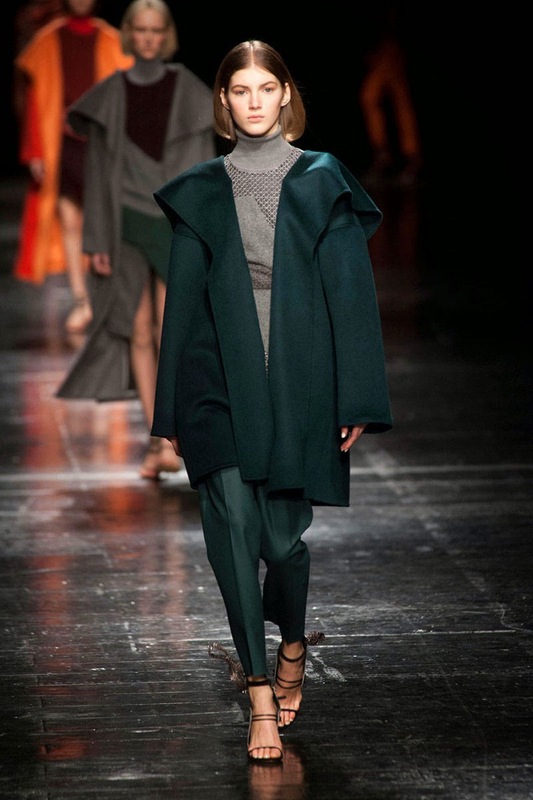 I particularly love the idea of wearing an emerald sweater with a pair of black-cropped dress pants. However, as shown in the picture above, an emerald jacket as the focal point of your outfit can be a bold statement if you are comfortable with taking more risks when it comes to fashion. A few seasons ago fur vests were extremely popular. This season it looks like dyed fur (Left to Right: J-Crew and Ralph Lauren) is making a big push in the fashion industry. If your not a fan of real fur, but you want to emulate this look there are many designers that create faux fur designs. 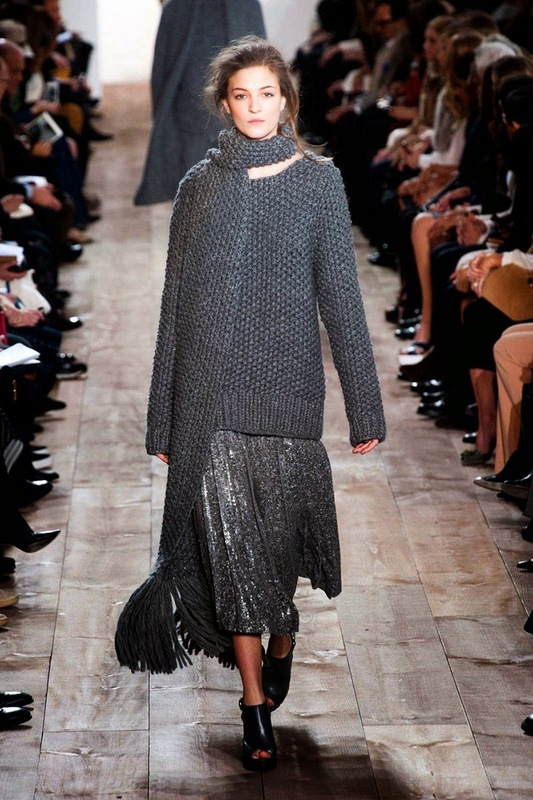 Oversized knit was trend that was incorporated in many designers' collections this season (Left to right: Marc Jacobs and Michael Kors). 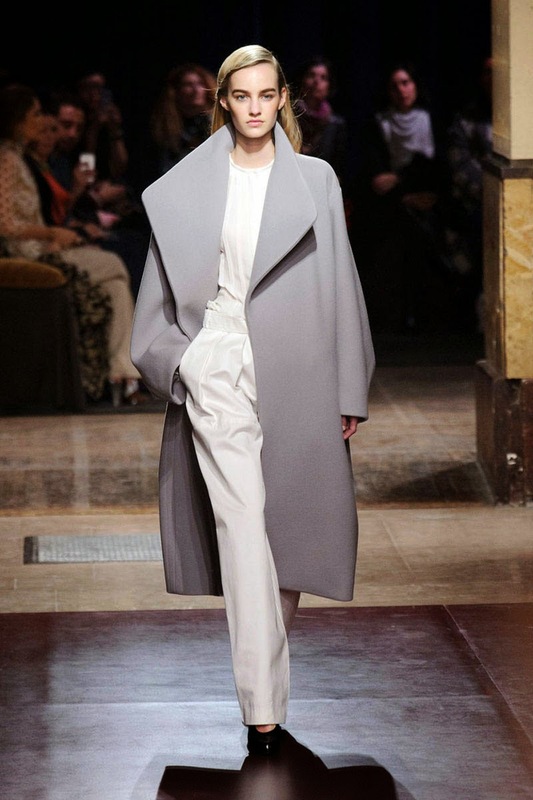 Clearly these designers are keeping us comfy and warm this season, which I can't complain about. Notice that the colours of the sweaters are quite neutral which is great, as it will go with anything you choose to pair them with. Oversized and long scarves are also very trendy this season and nicely compliment the knit sweaters if you choose to pair them together. More examples of knitwear shown at New York Fashion Week is provided below. Once again oversized knit sweaters are shown. One can see that these sweaters can be layered with items as shown in both pictures (Left to right: Public School and Tory Burch). I am such a huge fan of the brand Public School and the knit sweater shown on the left is definitely something I could easily see myself wearing with a pair of black booties. 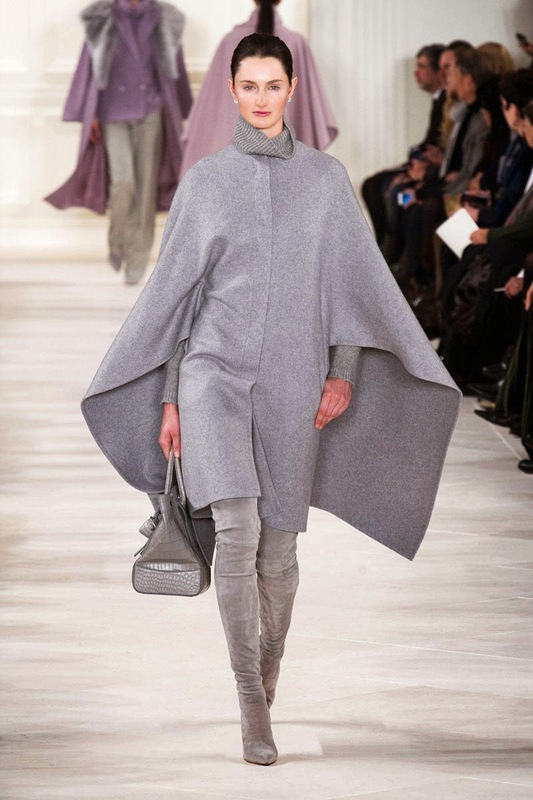 This year grey is proving to be the shade of the season. Very chic, sleek and fashionable, these coats are definitely an item anyone can easily incorporate into their wardrobe (Left to right: Hermes and Ralph Lauren). As well as grey is a staple color in many individuals wardrobe; many can shop within their own closets to achieve a chic all-grey ensemble. I personally look forward to taking out my grey sweaters and hats from the closet to wear as the weather begins to get colder. Overall, there were many great fashion trends this season and many were looks that I could easily find myself incorporating into my daily style. Are you excited about any of these trends?